This luxury collection includes the classic White Company wash bags and make-up cases in a variety of fabrics – from pebblegrain leather to satin. 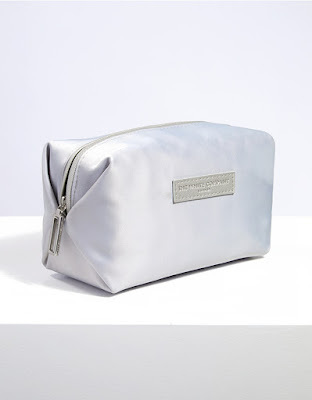 They’re the perfect size for your bathroom, suitcase and gym bag. 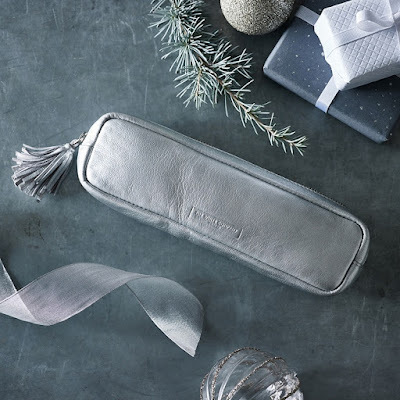 A substantial leather wash bag that's ideal for weekend breaks, holidays, business trips and the gym – or a thoughtful gift for a loved one. Made from premium pebblegrain leather, the fully lined wash bag is finished with a smart zip closure. Big enough to hold all your beauty essentials, yet sleek enough to sit on your dressing table or travel bag, this fully lined case is made from beautifully soft, frosted silver leather and is double-zipped to create two practical compartments. 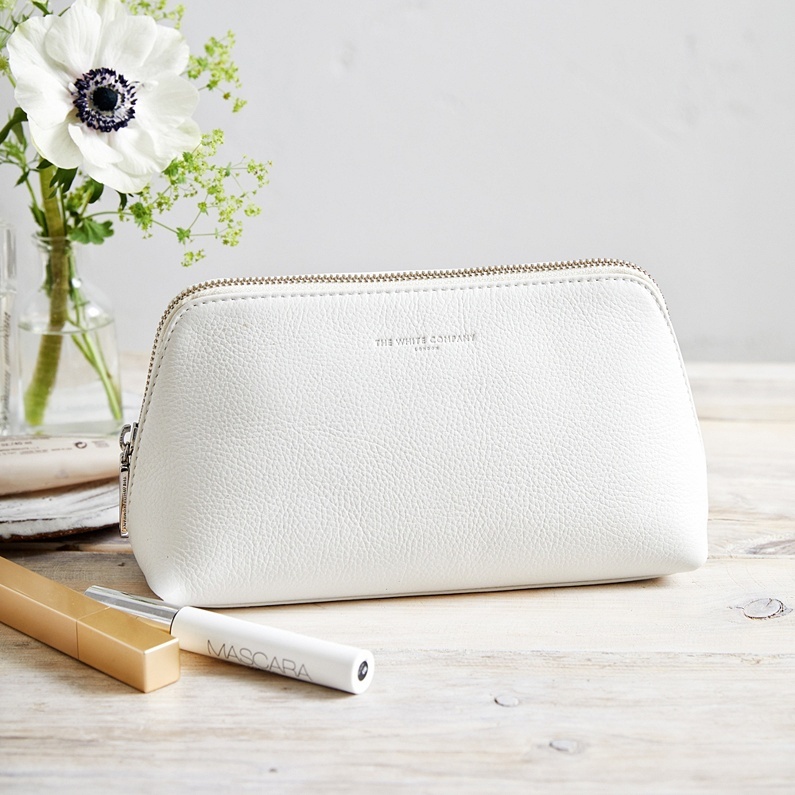 In a clever new shape, our domed make-up bag has two separate compartments. 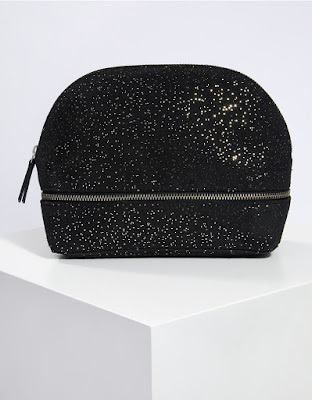 The rounded top section is designed to keep your everyday lipsticks, mascaras and concealer safely stowed, while the bottom layer, which opens with a zip-around fastening, is ideal for keeping brushes separate. Made from premium pebblegrain leather, this make-up case is fully lined and finished with a smart metal zip closure. 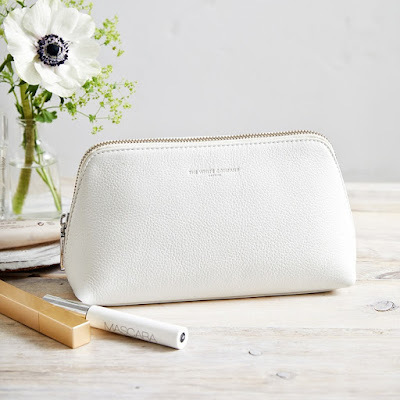 We’ve recently updated the shape to make it more structured and perfectly sized to hold all your beauty essentials, making it ideal for placing on your dressing table or popping in your handbag. 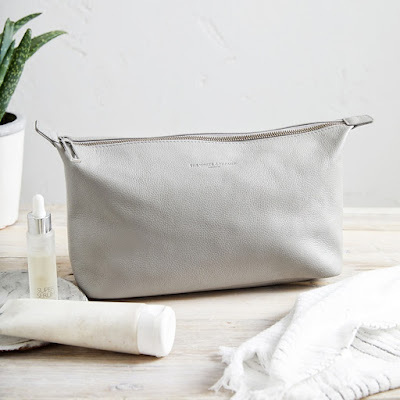 Perfect for stowing your make-up essentials when you’re on the go, this collapsible satin make-up bag is perfectly proportioned to keep in a larger tote. 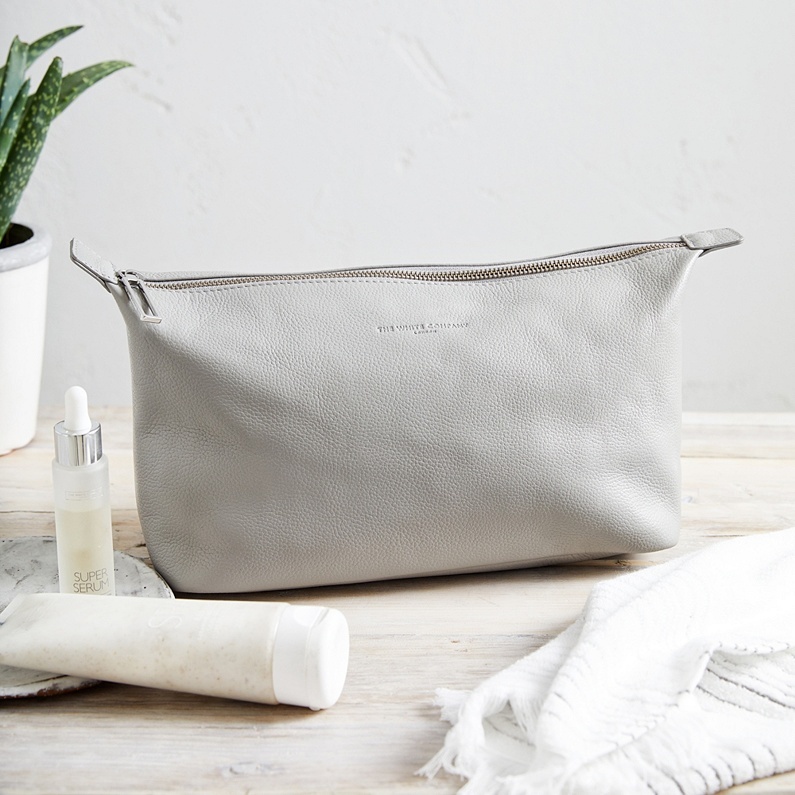 With a wipe-clean lining, keeping it hygienic and spill-resistant, it has a top zip with a branded The White Company zip pull and patch. 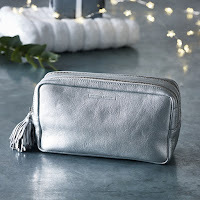 Ideal for storing your brushes, make-up staples or jewellery when travelling, this fully lined case is made from beautifully soft, frosted-silver leather and is finished with a smart leather pom-pom tassel pull, too.